Today was the first official day of the tour and it was packed with activities. 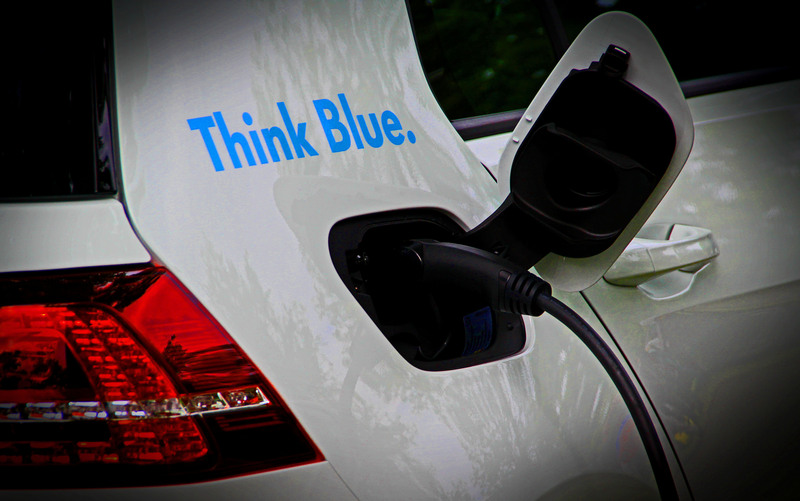 All participants gathered at the Mercedes-Benz Museum along with dozens and dozens of other electric cars – since we were going to attempt beating the current world record for the longest electric car parade, which was 305 cars and vehicles. Long story short, we succeeded and lined up no less than 507 cars and vehicles. We also managed to create this picture which includes everyone involved. If you want to try and spot our car, look out for the Swiss flag in the “A” of Stuttgart. There’s also a TV report on Swiss regional Tele 1 that shows the most important bits of today. Again, look out for the blue car with the large Swiss flag on the roof, that would be us – it shows up several times. The real milestone though is this report where we have a prime moment, lasting exactly 0.8 seconds right at the beginning of the report; so we’re famous now. 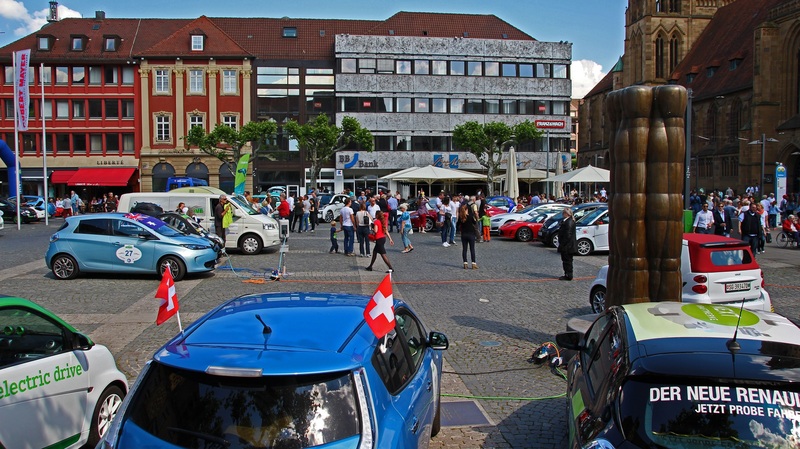 In any event, later on we left for Heilbronn where we presented our cars on the Rathaus square – we got lots of interest and answered many questions about charging, range and batteries. 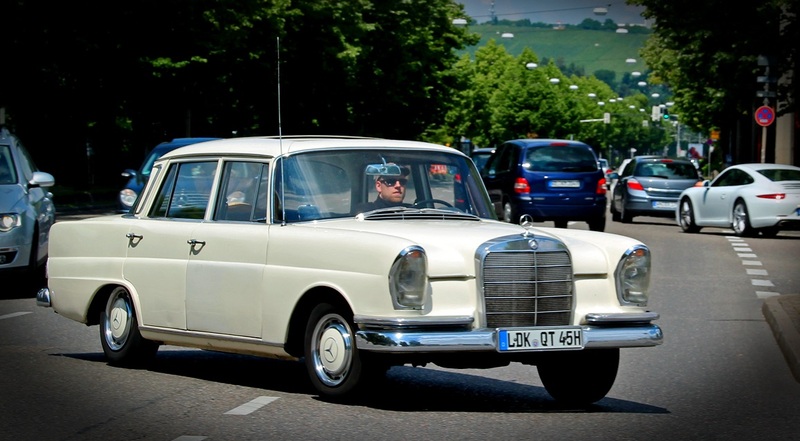 Nevertheless I can’t resist and post this picture of a 220b spotted in the midst of Stuttgart traffic. I know some of you will enjoy this… you know who you are. After leaving Trossingen in the morning and stopping for lunch somewhere on the way, we arrived in Bietigheim by the end of the afternoon. Finally, the big picture is coming together since now all 78 teams were assembled on the same parking lot – that’s quite a view. Unfortunately, cars were cluttered and trees in the way so there were no clean pictures to be taken. I’m sure there will be other opportunities to show all cars together in one frame. 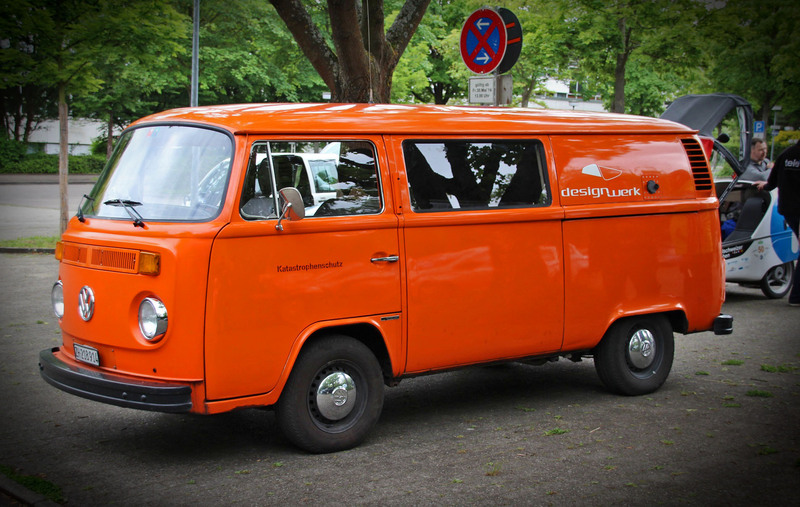 Today’s featured car is a Volkswagen T2 bus, originally from the german THW Katastrophenschutz; later imported into Switzerland, it was converted to electric power by Designwerk. 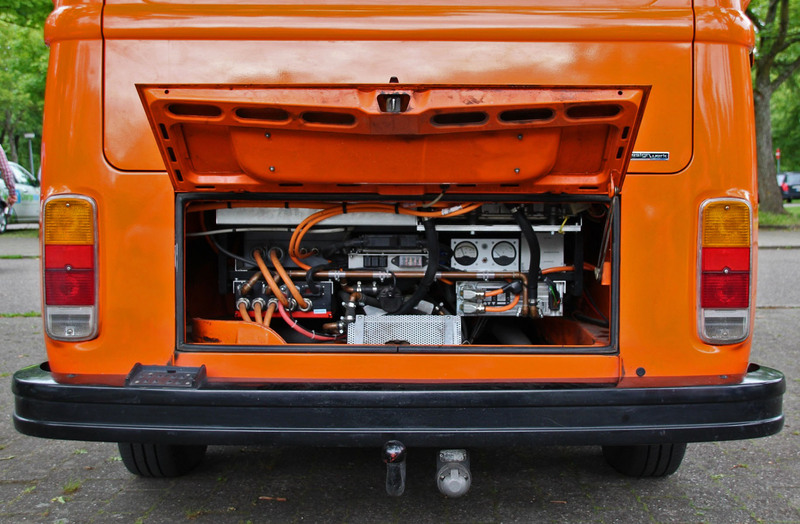 It now has a 100 kW electric motor, but the power is artificially reduced to keep the gearbox from disintegrating. It does run properly though and has a range of over 300km on one charge. We think it’s totally cool and I’m sure a few of you people out there will think alike. Its most important features are listed on the Designwerk website. We had a leisurely start today. After picking up Erich of Team Lightning Rods on the way, we moved on to Dachsen where we met Team Roadrunner, Max and Simon. We used a local charging Station to power up. 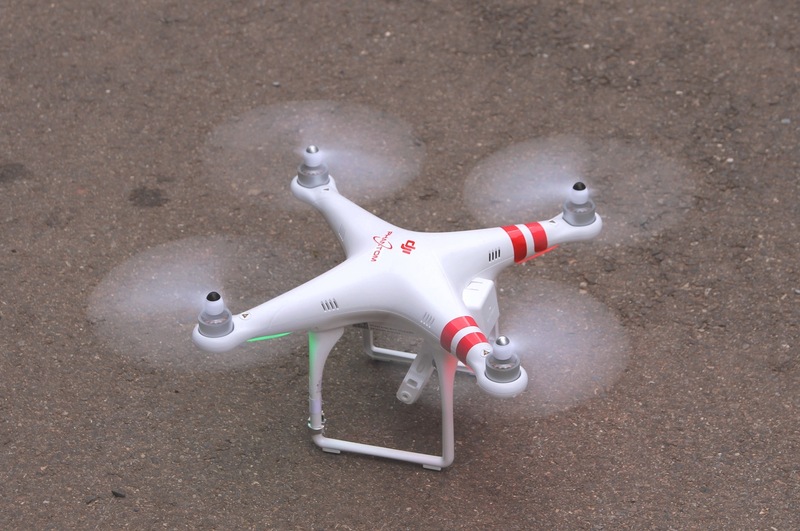 We successfully annoyed the locals by flying around over their houses and took minutes if not hours of spectacularly boring video footage. Still, we couldn’t restist and posted a twenty second video clip here on YouTube. Note that it might not show properly in IE – in that case please use a different browser and complain directly to Bill Gates. There’s not much to report about the rest of the day… an uneventful drive through the rain, we’re now spending the night in some kind of cabin up in the woods. Tomorrow should be more exciting since we’ll meet more teams along the way, and all 78 teams will be on site at Bietigheim tomorrow evening for the official briefing – the tour starts on Saturday morning at the Mercedes-Benz Museum in Stuttgart, so stay tuned. I keep saying this, but make sure you check our facebook wall on a regular basis since we’ll be posting pics and comments on the run as we progress. 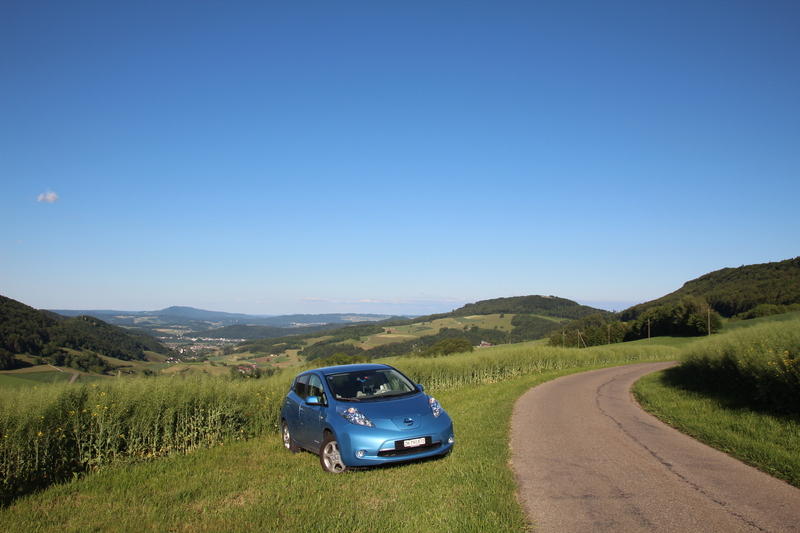 During the WAVE Trophy, we’ll be driving a 2012 Nissan Leaf. You can find specs and opinions here and here. Other than that, I assume most of you will know how to use Google to find further information. Even though it seems like a tiny little critter with limited power, it is surprisingly fun to drive, mostly due to the electric motor. Unlike combustion engines, the maximum torque is available over the whole rpm range, which makes it take off like a rocket when you step on it. Of course, that’ll cost you in battery range… But that grin you get on your face is priceless so who cares. It’s time to introduce James “Wattwurm” the mascot. Hopefully he’ll keep us out of trouble and bring us luck. We’ll be the first to admit that the pun about “Watt” only works in german, since a Wattwurm would be a Lugworm in english, due to the fact that what is referred to as Watt in german is called intertidal zone in english. In our opinion, that sounds rather boring and dull which makes the whole thing a bit disappointing. In any event, we hope you’ll forgive us this linguistical mismatch and enjoy following our adventure anyway. 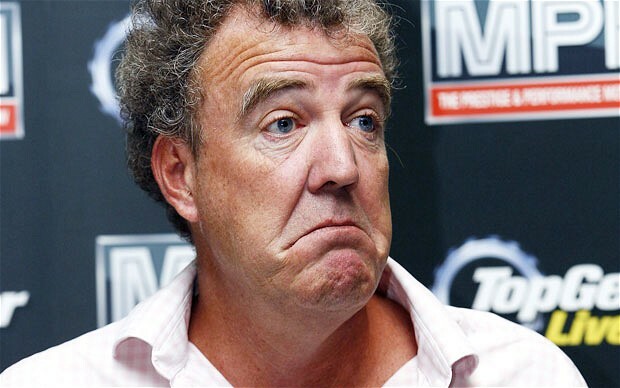 James will be sitting on the rear view mirror of our Nissan Leaf and will be watching the road for us. Hello and welcome to our brand new blog. We will be participating in the WAVE trophy 2014 which will take place from May 30 to June 8. We’ll be posting frequently about the race, our progress (and pretty much everything else that will come to mind) here and on our facebook wall, so stay tuned!